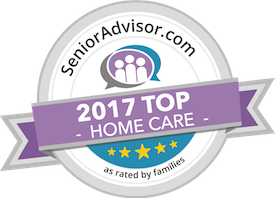 By Jermie Chadwick, CEO	| Nov 10, 2017	| Comments Off on How Do You Know When It’s Time to Hire a Home Care Provider? By Jermie Chadwick, CEO	| Oct 20, 2017	| Comments Off on What Does it Mean to Take Care of Yourself While You’re Being a Caregiver? By Jermie Chadwick, CEO	| Sep 26, 2017	| Comments Off on What Can You Do When Your Aging Adult Won’t Talk to Her Doctor about Dementia? By Jermie Chadwick, CEO	| Sep 15, 2017	| Comments Off on What Happens If You Do Not Agree with Your Parent’s Cancer Decisions?